Can’t stay away from crisp? well this might just be the alternative you need. This crunchy high fiber, protein snack is addictive; they are great have by the handful, and adds new dimension to salads. Drain and rinse the chickpeas. Using a clean cloth, pat dry them as well as possible. Place chickpeas on a tray lined with baking paper. 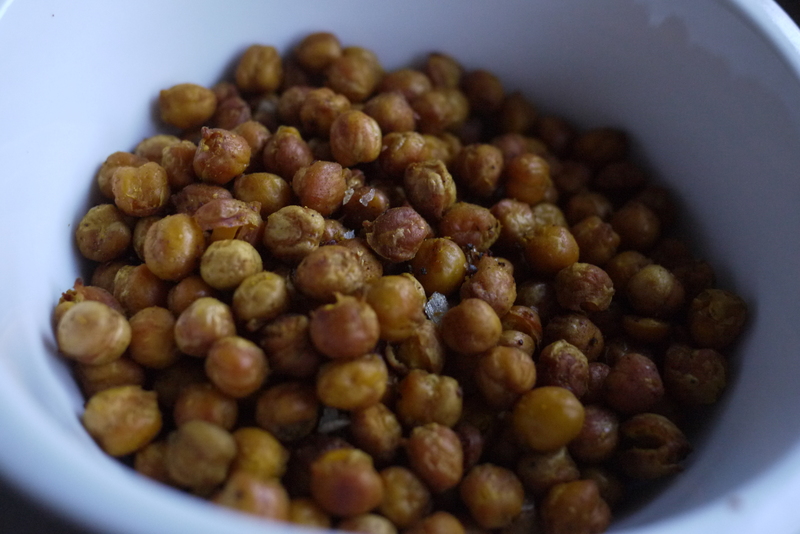 Roast chickpeas for 1 hour or until golden and crispy. Cool chickpeas on baking tray. *Store chickpeas in an airtight container for up to 2 days at room temperature.